Fire and Ice has invited author Kelli Swofford Nielsen today to talk about her book which was given at BEA last week and is an awesome YA fantasy debut for 2012 from Shadow Mountain. Here’s a little about the first in the Stone Mage Wars series as well as an exclusive post from the author below the summary. “I want to thank Heather for featuring my book, Stone Mage Wars: Journey to the Fringe on her website, and am excited for the opportunity to do a post for Fire and Ice. I have always been a big reader. I read a wide variety of genres—classics, contemporary adult fiction, mysteries, some nonfiction, but I have long been especially fond of fantasy—particularly YA fantasy. I remember reading and re-reading Robin McKinley’s books The Hero and the Crown and The Blue Sword during my difficult middle school years, and gaining an appreciation for honest, character-driven stories that feature brave heroines, magic, a little romance, and deeply-woven settings with a sense of history and authenticity. Although I spent years developing ideas about what made great fantasy, I never considered writing my own until after I left teaching high school English to stay at home with my infant son. During that time, I read a collection of short stories by Garth Nix called Across the Wall. Before each story, Nix told a little about why or how he had written it, and I found that the way he described his thought process felt a lot like mine. I thought, maybe I should write short stories, and then I thought, maybe I should just write short chapters, and so I did. I began writing the kind of story that I found I liked reading, and over the space of a couple of years my short chapters eventually became a novel. 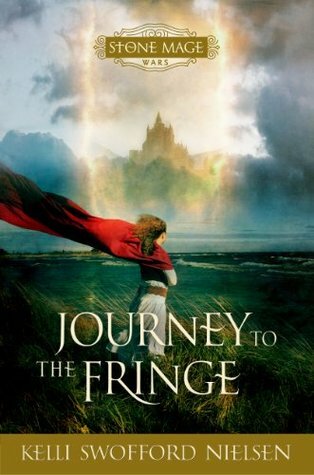 When I started writing Journey to the Fringe I had a basic storyline in mind driven by a few key characters—chiefly Princess Ivy, who was captured and whisked away to the perilous Fringe, only to find out that the end of the world was only an edge, and that her adventure was just beginning. I liked the idea of the magic in the novel centering on these common objects, stones, that the characters wore all the time—and took for granted. Only later would they discover that they each possessed a unique gift, in connection with their stones, that they could use for the good of their kingdom. As I wrote, more characters emerged and occasionally took the story places I hadn’t planned. They included a brave local fool, a jaded sea captain, a rejected witch, a young thief, and others. I felt that the characters grew as the story went on, and so even though I originally wrote Journey to the Fringe to stand alone, I was excited to let it continue when the publisher suggested a trilogy. 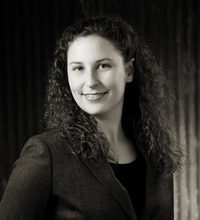 About the author: Kelli Swofford Nielsen graduated from Utah State University with a bachelor’s degree in teaching English. She and her husband, Jeff, live in Chicago, Illinois, with their two sons. Journey to the Fringe is Kelli’s debut novel.